… then joined them back up. Later in the dive I came across a true trompe l’oeil octo. I think I sensed this one watching me before I knew I’d seen it. The dive felt like an invertebrate celebration, fitting to initiate this website. 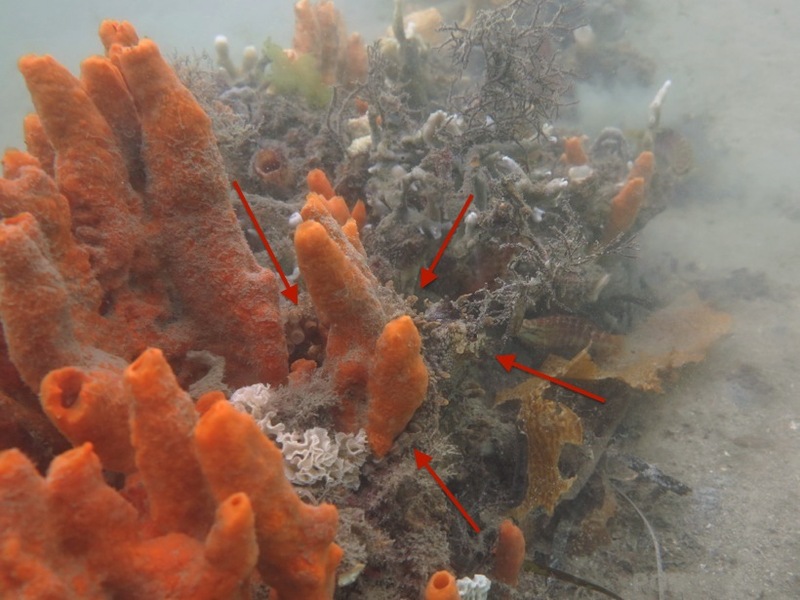 Metazoan will continue some themes from its predecessor, The Giant Cuttlefish, but with a more concerted exploration of early animal evolution, life in the sea, and – especially – the evolution of behavior. A project that began as an admiring study of a particular group of animals, the cephalopods, has grown larger, and more connected to my work in philosophy. A book will emerge at the end. It will be about the relations between minds and bodies, approached from an evolutionary point of view, and focusing especially on early evolutionary stages – the evolution of the senses and sensitivity, the coordination of actions, and the convolution of nervous systems beneath. The octopus raised its body and watched me. 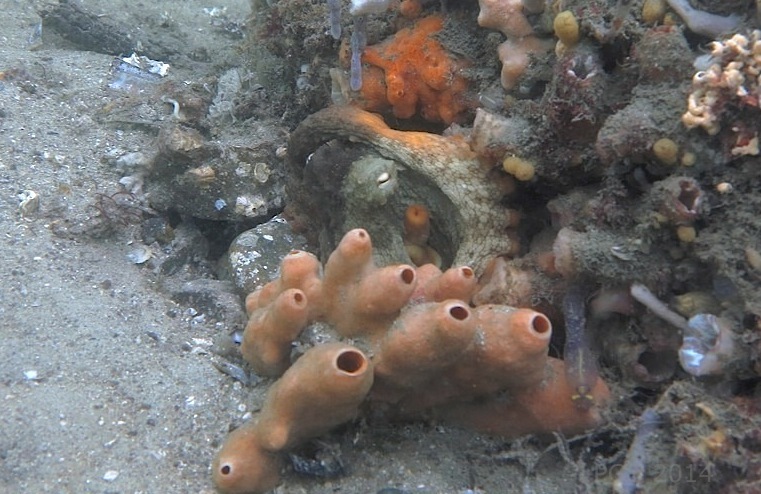 Out in the open, it was not especially camouflaged, but if you look at the center of the bottom part of the image, you’ll see that some folds of skin have been raised, and they exactly match the orange of the sponge. After a moment’s consideration, it jetted away. This entry was posted in Cephalopods, Octopus. Bookmark the permalink. 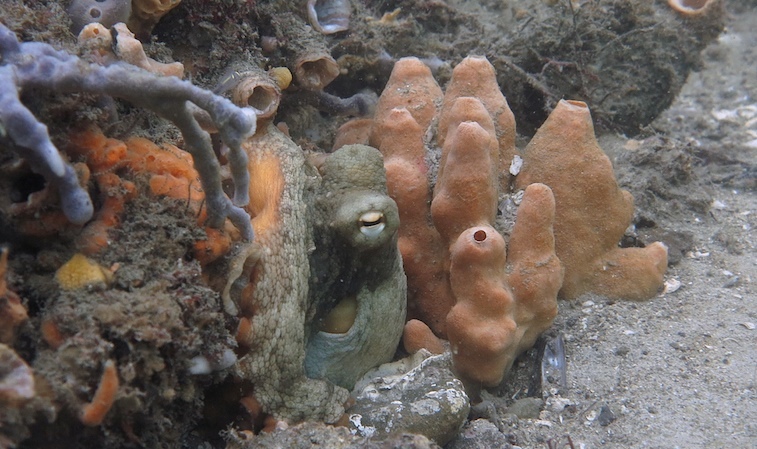 I’ve wondered about the bright orange on the gloomy and the Pacific O. bimaculoides/bimaculatus. I suspect the sponges answer that curiousity. Oh, and great pictures and colors! I see what you mean about the orange. 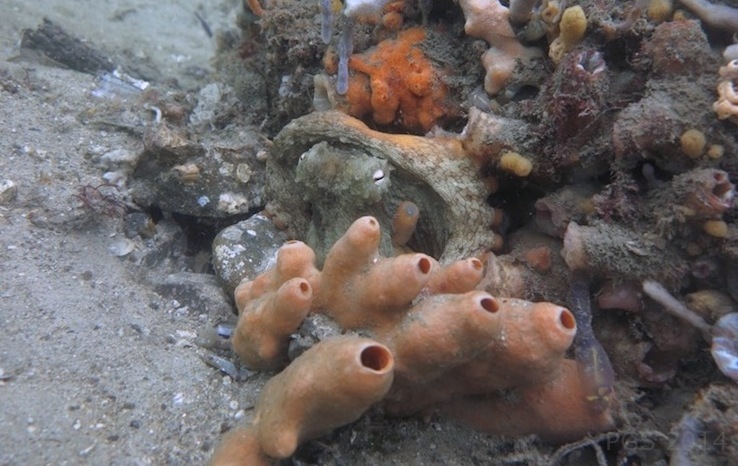 Octopus tetricus (the ‘gloomy’) is often around sponges, too. 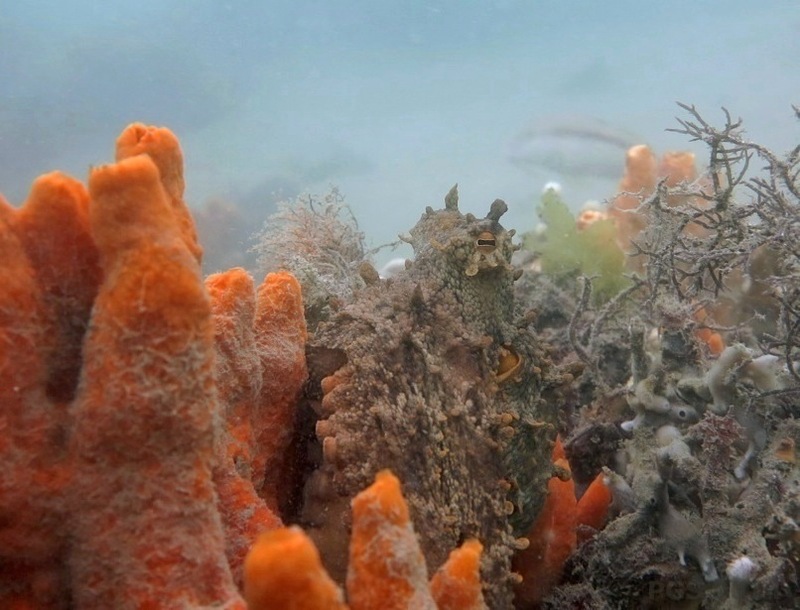 On the other hand, round these waters I’d say the orange sponges are rarer than other colors – there are a lot of blue ones, and white-ish ones. Those Nelson Bay ones are a bit unusual (and beautiful). I find the orange suckers on tetricus puzzling, as it’s frequently a giveaway when the octopus is otherwise quite camouflaged. 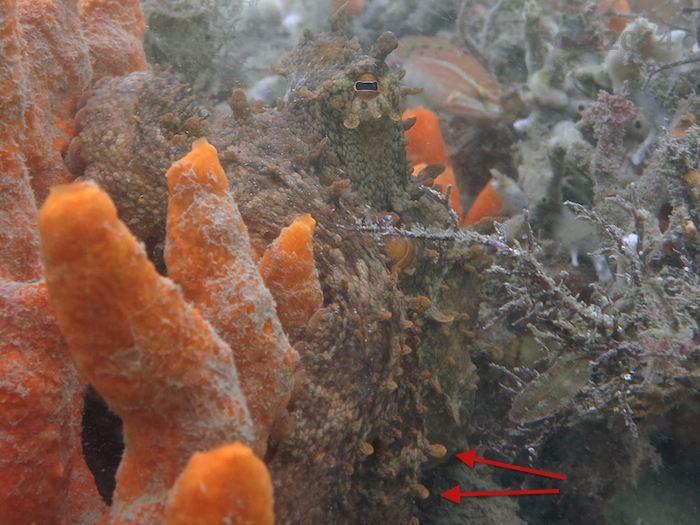 When O tetricus is really determined to be invisible, it can get rid of the orange (http://giantcuttlefish.com/?p=2274), but often it does not.